When sticking to a strict diet, it's nice to have a kitchen scale on hand to make sure you're eating the proper portions. But if you prefer everything in your kitchen to make a statement, skip the digital scale and go for this beautiful analog alternative designed by Naday Caspi. This scale's perfectly engineered curved metal arm flexes depending on how much food is added to its small metal bowl. 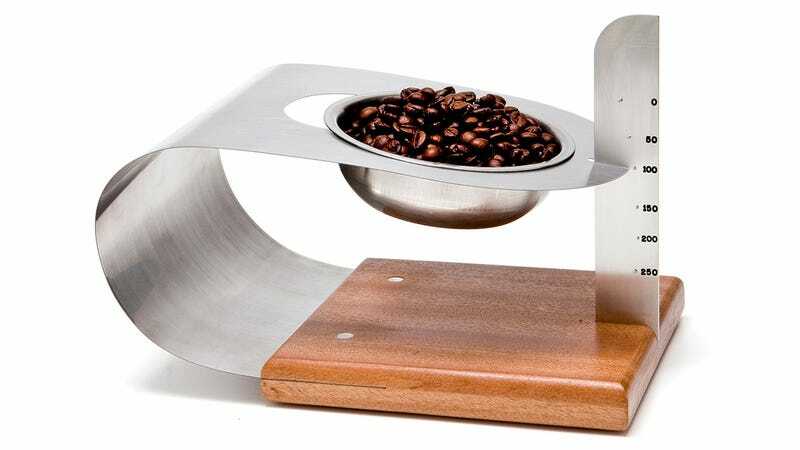 Then, using a vertically-mounted gauge, the scale is able to accurately weigh portions up to 250 grams.